Ergonomic sprayer prevents hand fatigue. No pomping or pulling: just aim and spray. Indoor: Direct the spray into hiding places, cracks and crevices, behind shelves and drawers, along baseboards, beneath and behind sinks, stoves, refrigerators and cabinets. Spray trails, nests and points of entry. Outdoor: For treatment of localized infestations on patios, decks and non crop areas, spray infested areas thoroughly. Thoroughly treat hills and runways. Repeat application if reinfestations occur. 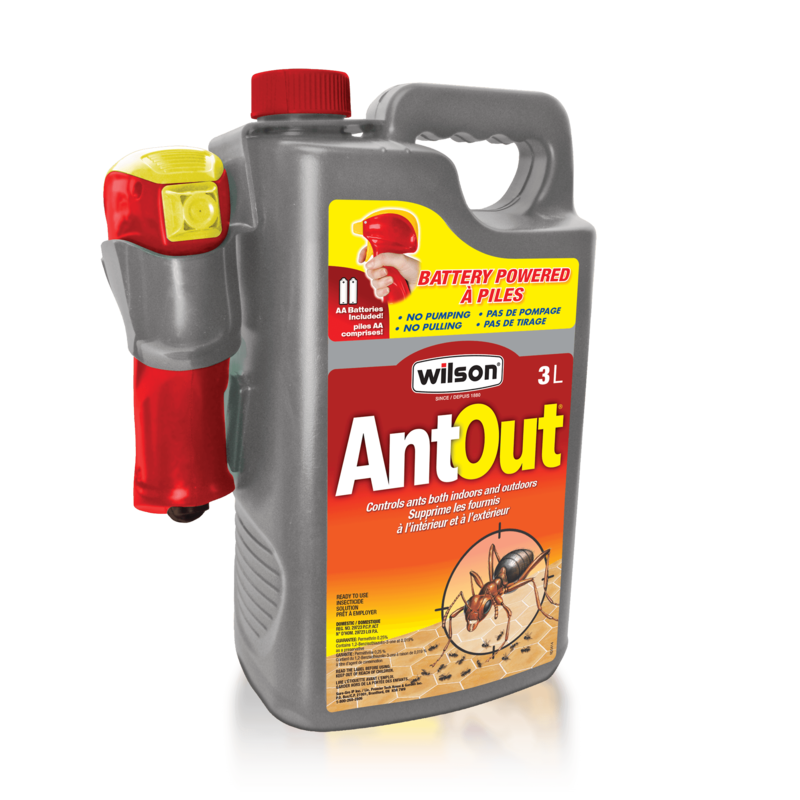 Indoor and outdoor application to control ants. Do not submerge in water. Before each use, inspect sprayer carefully. Make sure hose is flexible and not kinked, worn or cracked, and that all connections are tight. When storing sprayer for prolonged periods remove batteries. Trigger Sprayer is to be used only for this product. Do not reuse empty container. Remove batteries and dispose of accordingly. Wrap empty container and discard in household garbage. Wash thoroughly after handling and before smoking or eating. Avoid contamination of food, feed, cooking utensils or drinking water. Read label carefully before using.